What’s in a name? That may seem like a silly question in a business that is built on the premise that a domain name can mean the difference between success and failure. Still, there are countless examples of heavily trafficked websites that have worked despite having names that professional domainers would consider to be a waste of registration fees. There’s no doubt that developing and search engine optimization skills can overcome nebulous nomenclature. On the flipside of that, there is also solid evidence that the right name can jump start an enterprise like nothing else. A perfect example of this is AmericanFlags.com, a name 38-year-old New Yorker Jeff Reynolds picked up on Ebay three years ago for just $2,650. Reynolds didn’t know it at the time, but landing that generic gem would change his life forever. To see just how much it would impact his world you have to take a look at the path Reynolds originally embarked on before hitting a detour that sent him to an unexpected destination – the domain industry and a new role as an internet entrepreneur. Reynolds grew up in the Long Island community of Holtsville, New York, a town best known as the home of the Internal Revenue Service. The IRS is all about collecting money, but that was never the focus of life for the Reynolds family. Jeff's mother Maureen was devoted to helping others as a public health nurse and Jeff decided lending a hand to those in need would be a central element of his life as well. He went off to college and earned a Bachelor's degree in psychology followed by a Masters in public administration. Today he is completing a Doctorate in social welfare policy at the State University of New York at Stony Brook. “Taking it to the next level required some help,” Reynolds said. “The support, guidance, encouragement and friendship I've enjoyed at Rick Schwartz's domain board has helped me immeasurably.” That board is an invitation-only forum that is growing rapidly after recently opening to all who attended the recent T.R.A.F.F.I.C. 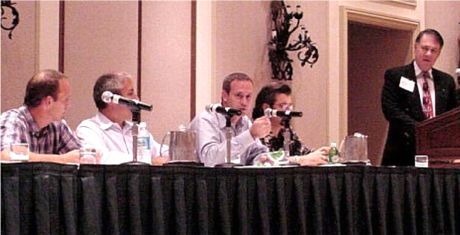 2004 domain conference in Delray Beach, Florida. Reynolds was a featured panelist at that event where he made a huge impression on the attendees with his account of how he built a thriving business with AmericanFlags.com. Reynolds thus embarked on an adventure that would require him to learn an entirely new industry and go off in a direction he had never envisioned before acquiring AmericanFlags.com. Parking a domain on a PPC (pay per click) page and collecting revenue is one thing. Developing a full fledged business with marketing, inventory acquisition and order fulfillment is an entirely different ballgame. However with the targeted traffic being drawn by that domain name, Reynolds felt he had no choice but to follow the development path. In 2002 flag sales started to cool off a bit so Reynolds decided to test a new marketing idea, an idea that propelled his business to another level. “I started doing a Free Flag promotion. I still run it, usually linked with news events and holidays. 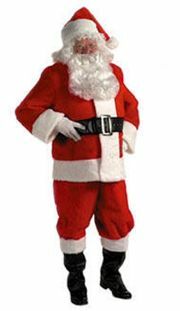 For example we promote the giveaway every July 4th, Memorial Day, Veteran's Day, Flag Day, and on the anniversary of 9/11. We also did a flag giveaway to mark the passing of Ronald Reagan. That was huge and left us packing and shipping flags for weeks on end,” Reynolds said. 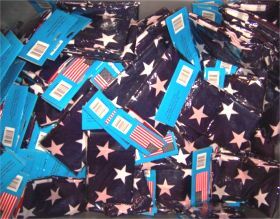 AmericanFlags.com now directly ships about 20 different products and they carry about 400 total with the rest being drop-shipped through a major manufacturer. 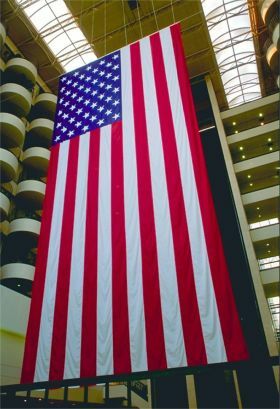 They carry everything from U.S. & State flags to residential and commercial flagpoles to banners, bunting and patriotic memorabilia. Jeff gives his significant other, Maureen Mullin, credit for keeping the enterprise clicking on all cylinders. She helps field phone calls, oversee shipping and put out the inevitable fires that crop in every busy business. There is a never ending debate in the domain industry about whether it is better to monetize domains through pay per click revenue parking pages or through site development. Reynolds has done both. “Development is hard work, plain and simple. Essentially, I use PPC to generate the revenue I need for new acquisitions and development. I think PPC offers domainers an incredible venue for making money and the folks at Domain Sponsor and Fabulous.com in particular run first-rate operations. I do, however, worry about the long term impact of PPC if surfers who type in domains find only familiar looking parking pages with a ton of links on them,” Reynolds said. With approximately 500 domains in his portfolio, Reynolds has found that time is in far shorter supply than good development opportunities. "Time consuming" is an understatement! Still, the business potential is SO huge, it's hard to not continue full steam ahead,” Reynolds said. The demands on his time are so intense, Reynolds has had to realign his priorities. “I still acquire domains for possible development and/or resale, but am limited by the demands of my developed sites, etc. I don't work the drops anymore and the auction drop prices tend to get out of hand, so that's not a game I play very often," he said. 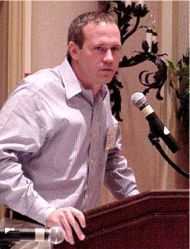 Instead he does some direct buys from resellers on various boards and tries to snag some bargains from non-domainers while also looking at emerging trends for domain ideas.” I believe that domains are one of the very best investments one can make and while we'll probably see some fluctuation as time passes, the overall trend will be an upward one,” Reynolds said. While many think the window of opportunity in domain acquisition has just about closed, Reynolds doesn’t agree, “It's still there, you just have to look harder, act faster and work smarter." As hard as it is to get away from business, Reynolds makes time for an intense game of basketball every Saturday afternoon. Once in awhile he squeezes in a round of golf or a weekend trip to the nearby Connecticut casinos. Even then it’s hard to get his mind off domains. Aside from the many business opportunities still out there he thinks more time needs to be spent on burnishing the image of the industry as a whole. “As domain holders, we need a clearer, louder and better organized voice to counteract the cybersquatter image that's often portrayed in the media - sometimes fairly, but generally unfairly," Reynolds said. He has gotten involved in helping organize a new trade group called the World Association of Domain Name Developers to help address that situation. Reynolds hopes WADND (website coming soon) will spur the development of “a more consistent ethic and a steady presence for an active, intelligent and articulate community rather than a bunch of far-flung folks sitting in bath robes, working in solitude, muttering to ourselves while developing carpal tunnel syndrome! That’s the logical next step for what can now be called an industry,” Reynolds said. Wherever that project or the industry as a whole goes, odds are Reynolds will be found where he is now, right in the middle of things.